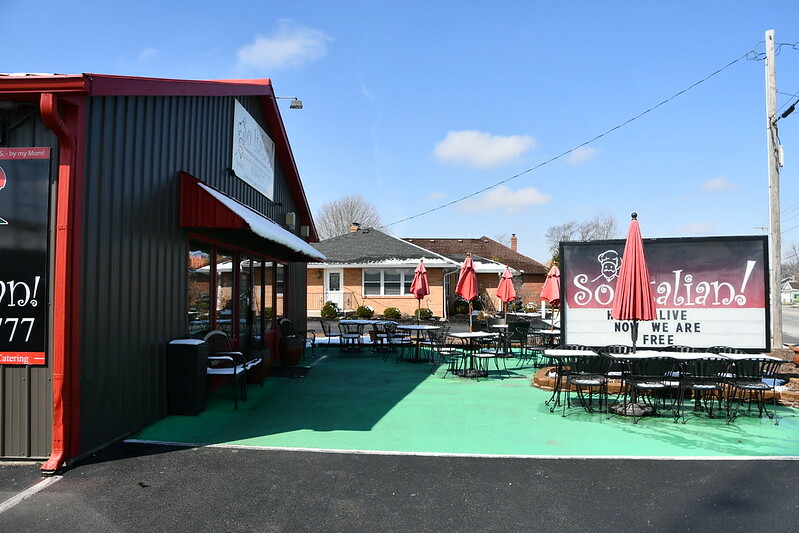 I needed to find an interesting place to eat lunch in Brownsburg, and the website for So Italian! piqued my interest. It sounded like a great place to go and have a pasta lunch. You order at the counter at the back of the restaurant before proceeding to a table. 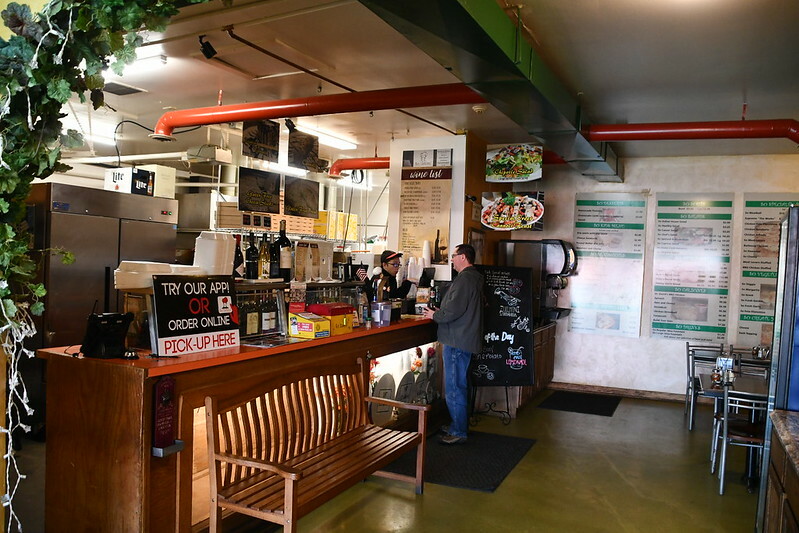 When you enter the restaurant, you have to walk past the dining area to the back of the building where the kitchen and ordering counter is located. 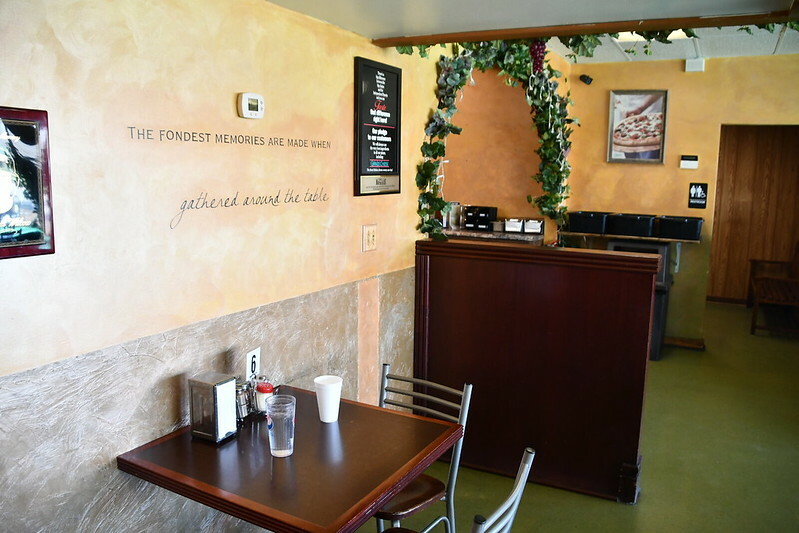 The full menu is located almost floor to ceiling along the entire back wall, so you can stand there next to the patrons sitting in front of it, to decide what you'd like to order. Then you turn to the left and approach the counter. The kitchen area behind the counter looked quite industrial and maybe more like a warehouse than a kitchen. At least that was my impression. The dining area was clean and the walls were nicely painted, but it didn't feel "put together". The young man behind the counter was enthusiastic and nice. We placed our orders for Pasta Ala Carte, choosing fettucine noodles and the mushroom alfredo sauce. The pasta was $7.99 and included a side salad and bread in the price. Apparently you could also order it without the side salad and bread for $5.99, but that wasn't really clear from the big menu on the back wall. After paying for our lunch, the cashier gave us a number to put on our table so that he could bring out the food when it was ready. A portion of the front dining area, showing our table and the little "6" sign to indicate to the staff which table belonged to that order. The side salad came out quickly, and if it wasn't a pre-mixed bagged salad from the grocery, whoever put it together could probably get a job bagging pre-mixed salads, since that was how it appeared. 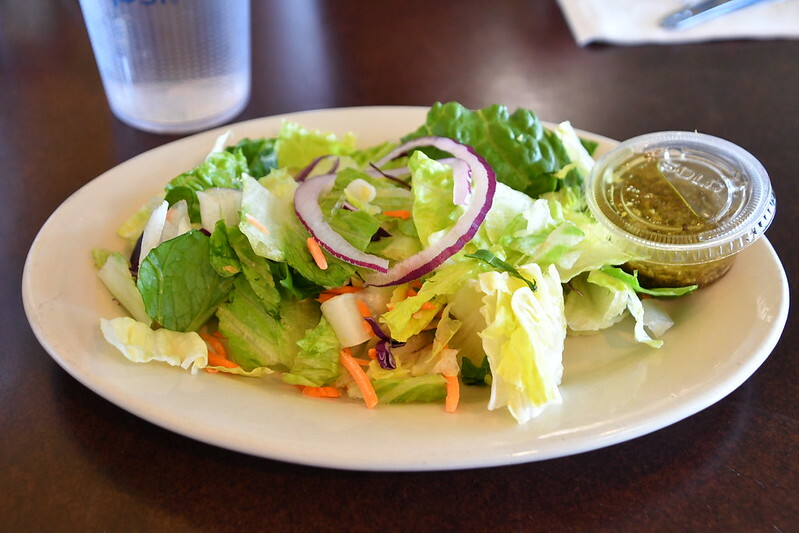 The salad was fresh enough, and tasty. I ordered Italian dressing. I'm not sure what it was, but it seemed like oil with bits of green herbs floating in it. I liked the dressing, whatever it was made of. The pasta arrived a few minutes later after we completed our salads. It was disappointing. The first thing we noticed was that the serving size seemed quite small. While the bowl was somewhat deep, it had a very small diameter. The biggest disappointment was that the mushroom alfredo sauce that we had looked forward to sampling did not contain any mushrooms. I can only assume that the cashier who took our order did not hear what we ordered correctly and thought we ordered the plain alfredo sauce. 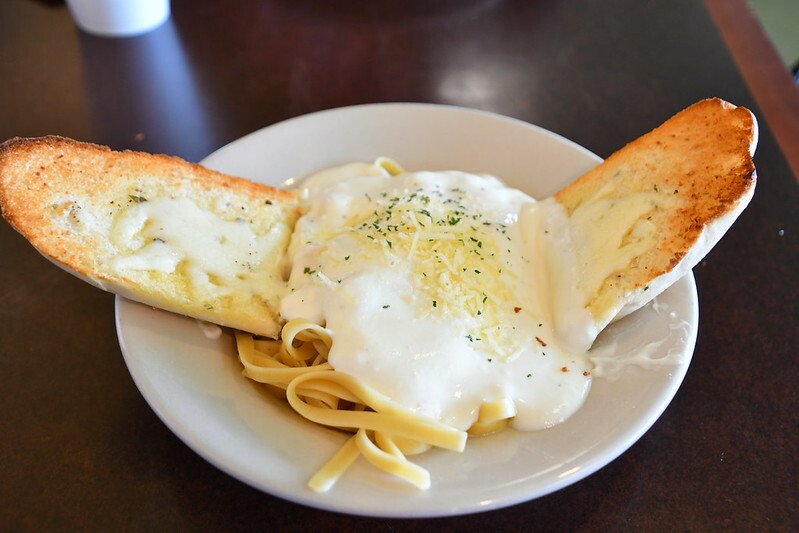 The alfredo sauce wasn't thick, but thick enough to have some body to it. The sauce had a good flavor, and the noodles were cooked just right. The restaurant has a lot of signs promoting their pizza, and if I ever return to So Italian!, I think I would give that a try instead. 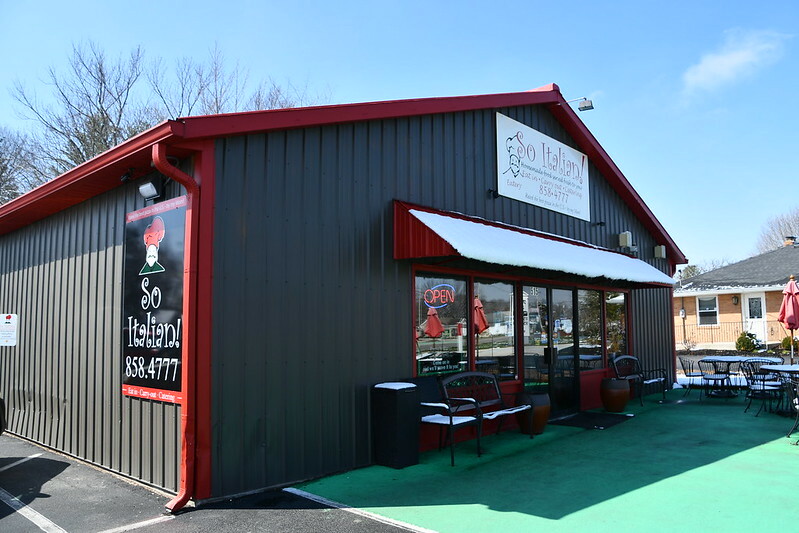 Outdoor seating looks like it would be available in season.